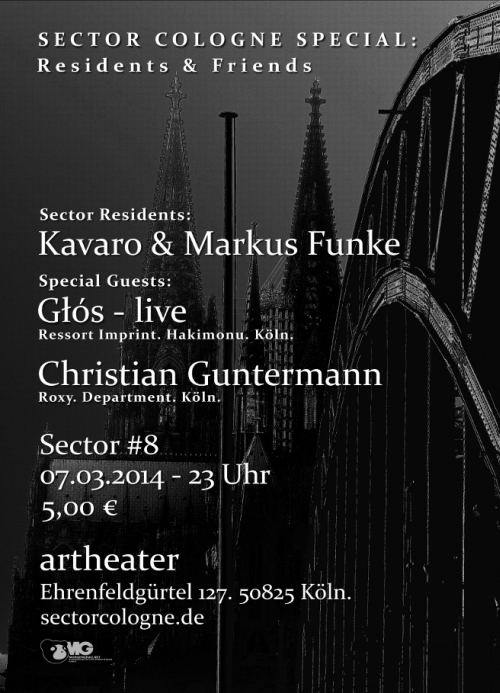 Sector #8 – Residents & Friends – Friday after Carnival – 07.03.2014. Sector #8 – Flyer and Event Links. Sector #7 – 1 Year Sector Cologne – Henning Baer.